How to Leverage the Power of Intention to Reach Goals beyond your Imagination? Everyone has goals in life. We want to do this, achieve that, become this, get there. But where exactly do you go? And what about the journey to get there? Goals are effective and powerful if you want to plan your next steps, track your progress and analyze if you are moving in the right direction towards what you’ve pre-defined as success. Clear goals simply help to make it very clear what you want to achieve, focus your attention, enhance creative tension, make success more definable and more tangible - and therefor: makes your goals more likely to manifest in the sea of possibilities out there. The problem with setting and achieving goals that have the objective to make a systemic change, be it on a personal, relational, organizational, or other complex systems, is that they simply don’t cut deep enough. Simply put, for me a systemic change means that you deepen your focus to address the root causes of your challenge and explore the relationships between things. 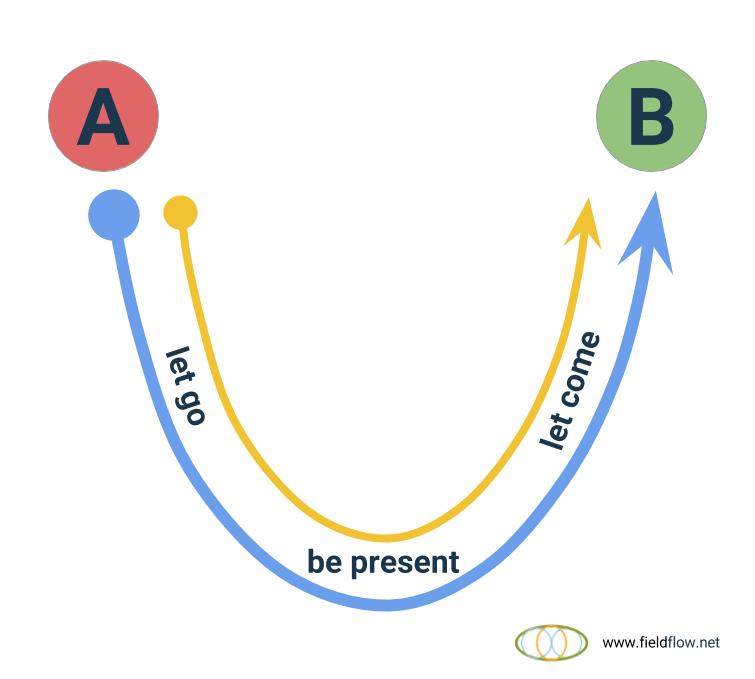 Say that A is where you are now, and B is where you want to go. How will you make the river of (your) life flow? What often happens on the way to your goal? Life changes, your context changes, other people change, your relationships change, and chances are - that you yourself will change. Whether you change is not in question, change is a given. But it’s the way you change that ís up to you. The biggest challenge is that goals can only include what we consider possible and desirable from within your current mindset, worldview and paradigm. You cannot set a goal for something that you cannot imagine possible yet. Goals are bound by “realistic” thinking. In her classic article “Places to intervene in a system” (1991), Donella Meadows describes the “Goals of a system” as the 3rd highest leverage point for change on her list of 12. “If the goal is to bring more and more of the world under the control of one particular central planning system (...), then everything further down the list, ..., will be twisted to conform to that goal.” Donella Meadows (1991). To understand what a leverage point is, consider it a place in a system where a small change can cause a big change. Small effort, big effect. Small input, big output. However, leverage points often function in very counter-intuitive ways - so there’s no point just pulling and pushing on the leverage of goals without paying attention to what’s at work underneath the surface. So what are even higher leverage points for change? The two leverage points even higher than changing the goals of a system, are the paradigm or worldview from which the goals arise, and ultimately the inner power to transcend paradigms and hold different worldviews, possibilities, and truths at the same time. If you don't give attention to the mindset and worldview behind and underneath your goals, you risk re-creating and contributing to the same old problems that you’re aiming to solve. The higher the leverage point is on the list of Donella Meadows, the higher its potential effectiveness, yet the more difficult it seems to be to effectively influence and use the leverage point to make a system change. Looking at it in this way it becomes clear that our mindset, worldview, paradigm, and intention – determines what we currently consider possible and desirable. And that this, without a doubt influences the goals we set and achieve, individually ánd collectively. The decisions made on a global level are all influenced by the mindset of the people involved and paradigm of the time that we live in. And, although the goals will be different, the same is true when you set goals for any area of your personal and professional life. How does Intention make the Difference? If you want to reach goals beyond your imagination, you need to leverage intention. It’s important not to confuse your goals with intentions. Goals are about What you want to achieve, whereas intentions, whether aware or unaware, are the driving force in Why and How we do what we do and we live the life that we live. Individually ánd collectively. If you set your goals well connected to your intentions, goals are just what helps focus this intention on creating tangible outcomes in the world. Connecting the two together is what truly creates transformative results beyond what we previously imagined possible. 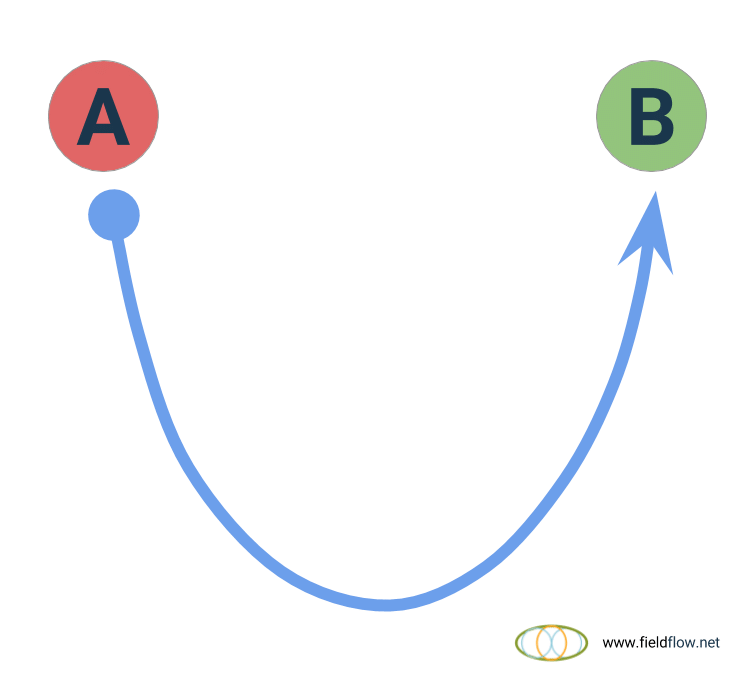 Rather than setting a goal and start running from A to B as a chicken without a head, leveraging intention means connecting to the undercurrent. A clear intention helps you focus and stay focused on what really matters. It gives direction, keeps you on course, and acts like an inner compass that continually points to where you are now, and how you are showing up now - rather than keeping you focused on an external goal in the future. Energy follows attention, and attention follows intention. From clarity about your intentions emerges a creative energy to deal with whatever obstacles in your way and move towards goals that are connected with what really matters to you, and aligned with your inner values. Being clear about why you do what you do helps you change how you do what you do. Being intentional and present makes it easier to let go of the old ways of thinking, relating and acting that are keeping you back, and embrace the unfolding possibilities of life inside and around of you. For me, being intentional with my goals helps to stay present in the moment, live life true to my own values, and enjoy the journey at least as much as the (potential) destination. Paradoxically, we have to detach and let go of the desire for or expectation of achieving a certain outcome, precisely in order to stay on course towards achieving the outcomes that you truly want. As you change your inner world, you change your outer world. Along the way, it’s important to remember that everything is interconnected and interdependent. The complexity of our reality is that each of us is imperatively part of the whole. And as such, the collective patterns of thought, emotion, and behaviour influence you, as do your intentions, your thoughts, feelings, and actions influence the world around you. We depend on the whole as the whole depends on us. Depending on what you’re looking at this “whole” can be just you yourself, your family, your community, organization, society at large, or even the whole planet we live in. Your intention can be as large or as small as you want, and there’s no limit on the amount of intentions you can set or be true to. On the contrary, the amount of goals that you can work towards at any given moment is per definition finite. Intentions work more subtle, more profound, and perhaps more mysterious. Do you want to take the lead in your own life? Get your guide to help you Reflect, Learn, Grow, and Plan 2018! I love to see people develop a stronger sense of who they are and what really matters to them from the inside out, and grow the self-leadership capacity to embody the kind of change that they’d desire in their lives. That's why I've created a very effective guide to help you: Reflect, Learn, Grow, Plan and Bring Your Field in Flow for 2018! Download your free copy here. How to Develop Your Self-Leadership Skills for Systemic Change? In my experience, our ability to deal with complex challenges, create positive change in any area of life, and contribute to a sustainable impact in the world around us, requires an authentic kind of self-leadership that starts with getting clear where you’ve been, where you are now, what really matters to you, where you really want to go or get, and especially how you will be and grow as a person along the way.